The Titanic 3D rerelease: Why not just rerelease the Winslet/DiCaprio classic in 2D? Why Don’t Studios Rerelease Movies More Often? 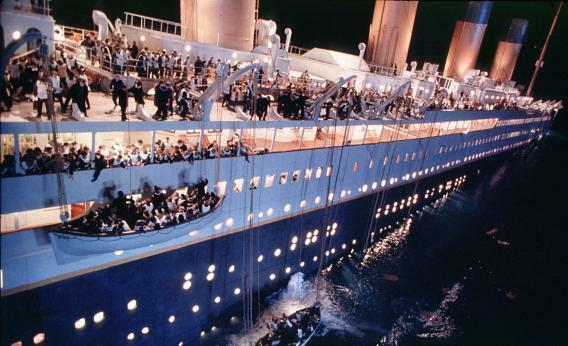 Titanic wasn’t quite king of the world in its first weekend on big screens after a 15-year hiatus. The 1997 movie placed third at the box office, earning $17.3 million—just shy of the $18 million it cost to convert the film to 3D. Which raises a question: Were those conversion costs necessary? Why didn’t James Cameron and company just re-release the massively successful film in its original two-dimensional glory? Surely, the 100th anniversary of the sinking of the Titanic—and the 15th anniversary of the film—provide excuse enough. But movie studios, which once re-released their big hits with some regularity, have more or less ceased doing so, even as more costly 3D re-releases have become more common. How come they don’t put 2D classics back in theaters anymore? Hollywood will re-release at least four 2D hits in 3D in 2012: Beauty and the Beast, Star Wars Episode I: The Phantom Menace, Titanic, and Finding Nemo. Such conversions are becoming common enough that a handful of sizable companies have sprung up specializing in the process; these companies take on the costs of conversion for a share of the back end. Titanic’s 3D conversion cost $18 million, and such costs are coming down with technological advances. Still, that’s a hefty production price to pay on movies that were already popular in their original form—especially given the past success of un-converted re-releases. Consider Star Wars: According to Box Office Mojo, the 1997 re-releases of the original trilogy generated $138.3 million, $67.6 million, and $45.5 million, respectively—not to mention the $2 billion marketing deal with PepsiCo and all the promotional book and toy revenue. Lucas reportedly spent $10 million to “rework” the first installment, from 1977, and $2.5 million each on Empire Strikes Back and Return of the Jedi. Smaller-scale rereleases have also done well. The 1997 re-issue of The Godfather, for instance, earned $1.2 million on only 40 screens, while Citizen Kane took home $1.6 million in 1991. In the age of widescreen, high-def TVs, with old classics more accessible to audiences than ever before, studios have apparently become convinced that such profits hinge on a special director’s cut or, more likely, newly added 3D effects.